The school is located in the suburbs of Negombo, 35km from the capital Colombo and 5km from the International Airport in Katunayake. Close to the largest free trade zone in Sri Lanka and several leading companies. The purpose-built campus nestled within quiet, green and spacious surroundings provides a stimulating and effective learning environment for our students. The attractive campus is well supervised and safe. The Association for Negombo International Children's Education is a not-for-profit, English medium, multinational school, serving the internationally oriented expatriate and Sri Lankan community of Negombo.NICE was founded with just 2 students in 1988 by a group of European parents concerned with the lack of suitable educational facilities in Negombo for their children. Today NICE has more than a 120 students representing a wide variety of nationalities. The school is registered in Sri Lanka as a not-for-profit company under the name "The Association for Negombo International Children's Education". 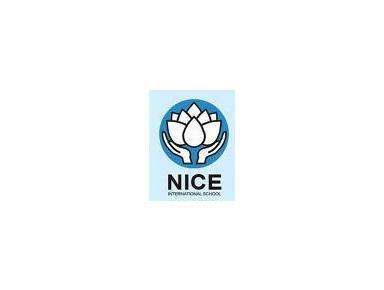 NICE provides English medium internationally oriented education for children from pre-School (2+ yrs) to A'Level (18 yrs.) The number of students per class is not expected to exceed 15. As NICE is a not-for-profit association, all income from fees, donations or property is spent solely for school purposes, to ensure the highest educational quality.